For 15 years Rik Ward worked as a freelance illustrator based in London. Today he tutors older adults in Art and Computing. In recent years Rik has been a mixed media artist and he took up photography in 2014. As someone who loves to experiment, Rik ended up creating innovative composite images quite by accident. Just a few of his efforts to develop this are exhibited here. All Rik’s images are created from at least two photos. 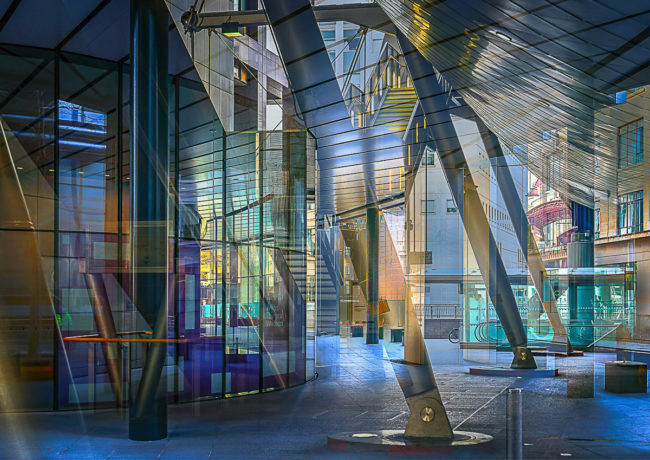 The selection and blending of images using his innovative technique and thousands of photos is like panning for gold – patiently searching for that one nugget of a combination that ‘works’ and makes all the effort worthwhile. Rik prefers to call his work ‘photo art’ as opposed to ‘digital art’. He doesn’t add digitally created objects, colours or textures; what you see is in the original photos and blended via various software settings. Whether taking photos or optimising them, Rik still thinks like a painter. He tends to ignore conventional landmarks and most photographic genres. 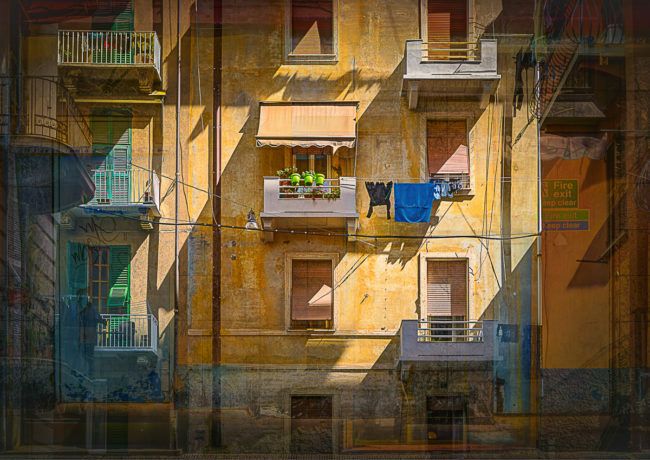 Rik looks for things in towns and cities that he would like to paint – strong architectural compositions, striking shadows and colour combinations, reflected light, peeling paint, overflowing waste bins… Useful photos can come from anywhere! 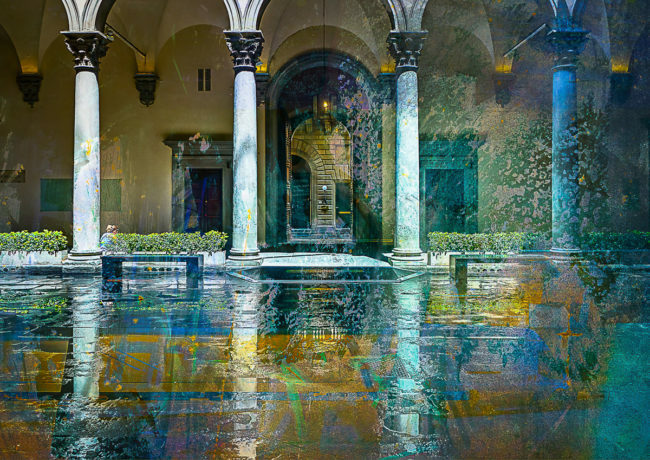 Some of Rik’s work shows a single main image with colour and texture added from other photos. 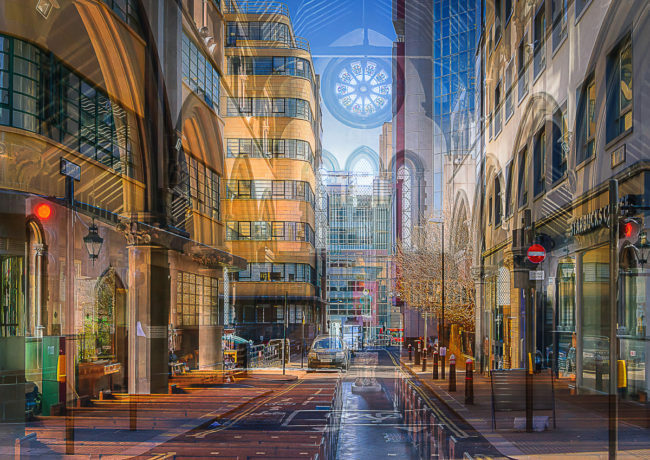 Sometimes he likes to juxtapose very differing images, as in his ‘New meets Old architecture’ series. Occasionally inspiration comes from other combinations, like an image of formal buildings in the City, or a church interior, blended with street art from Brick Lane.